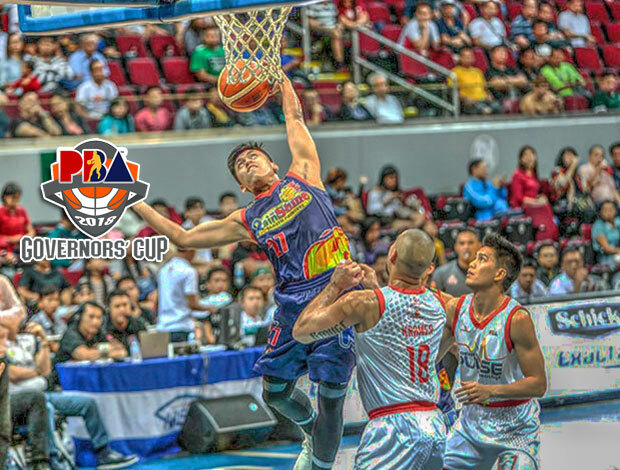 The Rain or Shine Elasto Painters is scheduled for a head-to-head game against the Phoenix Petroleum Fuel Masters at 4:30 P.M. on October 24, 2018 live from the Cuneta Astrodome. The Elasto Painters are looking to end their two-game losing slump while the Fuel Masters will try to make a quick bounce back when 2018 PBA Governors’ Cup resumes this afternoon. The bid for the Top Four is most likely the top priority of Phoenix head coach Louie Alas. Taking home the victory will solidify their position along with the Barangay Ginebra San Miguel, Alaska Aces and the Magnolia Hotshots Pambansang Manok. To those who are not aware, the top four squad will carry a twice-to-beat advantage against the lower four teams when the quarterfinals arrives. To achieve their today’s goal, taking care of the ball is one of the strategies of Phoenix considering that they’re currently number one in turnover this conference. “We’re positive and at the same time worried din because of our carelessness. No. 1 kami in turnovers (19 per game) and that’s our main focus the last few days,” said Alas. For the Elasto Painters on the other hand, they have good news and bad news. The good news, the rift between coach Caloy Garcia and Raymond Almazan was reported that it’s now ironed out. However (the bad news), the Rain or Shine coaching staff decided not to suit up Almazan and will wait for the next season. Additionally, Beau Belga will also sit out in their afternoon match due to a foot injury he got during their game against the Columbian Dyip. Rain or Shine looks spectacular when they have beaten the then league leader Barangay Ginebra San Miguel in their out-of-town game. At the moment, their chances to making it to the next round is getting dimmer.